Earlier today I said August was the busiest month of the month, I spoke to soon. Judging by the amount of pages I have to go through even topped August! Have you not voted yet? Check out what went down in September. We started the month with a whole bunch of contest run footage from the Real City Spin contest, check out Yohei Uchino’s winning ride once again. 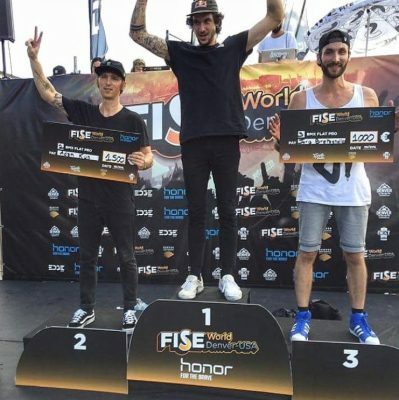 On the 6th, Congratulations to Matthias Dandois, who took the win at the FiseWorld contest last night in Denver, Colorado USA, followed by Adam Kun and Joris Bretagnolles. Also on the 6th, on the other side of states. 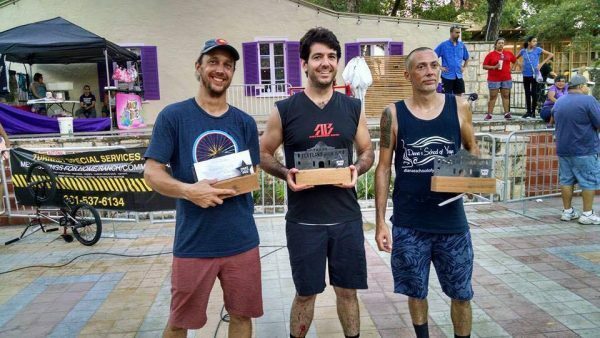 The 3rd annual labor day jam went off! Honorable Mentions go to Scotty Weaver, Mitchell Hall, Chris Babin, Teak Gabriel, Stefan Crider & Michael Alvarez for putting in amazing runs of highly original & very difficult trick combinations. 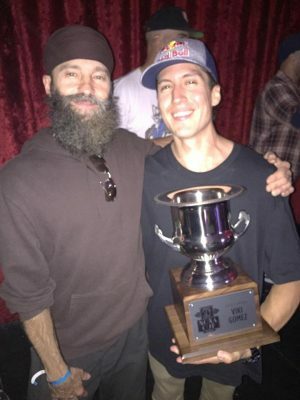 Special Thanks to Matt Coplon, MC Kip Williamson, our judges Chad DeGroot, Marcos Paulo DeJesus, special guest judge & DJ Mark Eaton of the legendary Plywood Hoods and all of our sponsors for making our 3rd annual jam the best one so far! A week into September and the first Must watch edit of the month. Tomoaki “Bekko” Yoshimura sent in this display for amazing bike control, tis takes me back to Kevin Jones stalling lawnmowers on the earlier Dorkin’ videos, and is a great example of how you can make an old trick new. It feels like a whole new realm of possibilities just opened! Respect Bekko! A day later, and the second Must Watch! There’s a lot to admire about Matthias Dandois’ riding, I’m personally always amazed at his work ethic, constantly away from home and still progressing and dialled as ever! That’s not easy, this new Haro Bikes edit where he teamed up with Christian Rigal in Paris and San Diego and blends the line between flatland and street further. We all know Matthias as a dialled contest rider, take a look at Matthias throw legit flat/ street lines down, this is very much a different Must Watch than what I would normally give. This edit really gave me a feel of how natural Matthias’ riding has become. – The triple backwards manual g-turn line at 1:11! – Half cab half whopper xft inside steam line at 2:47! – The carved backwards manual line followed by the half cab 5 manual line at 3:52 onwards. – The ending half cab ago over rail and stairs at 4:29 is balls out, especially I hate to say it but for a flatlander! Hit play to watch one of the most diverse riders on the planet, do his thing! September was a big month for the UK flat scene, on the 12th. On the 13th, I was Stoked to see a fresh edit out of my child hood hero, Pete Brandt! Pete is still tearing up the Clocktower riding spot in San Francisco on the daily and goes hard in this new “Bloodlines 2016” edit, lookout for the hitch to halfpacker dark side line at 2:53. Powerful styles for days! Respect due! A day later, It’s been quite a day here at FM HQ, but we are back online. And what better way to start than with this amazing edit from the KTGM edit by Olivér Kállai! From the opening Denes Katona line I was clued to this! During the beginning of September 2016 Sebastian Grubinger spent some days in Onet le Château, Matthieu Bonnecuelle’s hometown, and at Michaël Husser’s new home, Bordeaux. These are some adventures of 3/5 of the HY crew during this time, chilled vibes with amazing tricks. As with anything Heresy put out, this well worth a watch! Yuki Itoh, won the internet on the 15th! Everything about this new Yuki Itoh – Welcome to the Far east Cycles team edit is on point. Yuki is one of the most underrated riders on the japanese scene in my opinion so it’s great to see FEC showed him some love. – The opposite turbine steam boat ride in flip flip to yammer style backwards spinning xft steam step on fork back to steam turbine to xft fork spinning steam to opposite xft steam flip steam opposite side step into spinning cliff at 1:06! Are you following all that? Yuki’s style is so nimble around the bike, amazing! – At 2:11 the turbine teakettle to spinning xft crack pivot spinning hang ten pivot opposite one footed spinning crack step over backwards facing one footed spinning ck jump to halfpacker pivot xft backwards spinning xft stream pivot steam to x handed spinning half hiker! Mind blown! – The last line at 3:03! I will leave that one to you! Props to Takuya Higa also for the camerawork, this edit makes me want to ride so bad! Job done! Respect Yuki, liquid flatland at it’s finest!! 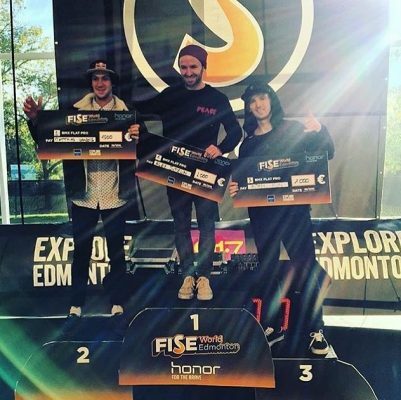 On the 19th, Congratulations to Alex Jumelin who last night won the Fise World stop in Edmonton, Canada followed on the podium by Matthias Dandois who won the Fise world series for 2016, and Adam Kun took the the third place spot. You can catch up on the contest over on the Fise Facebook page, we have already a couple of highlight videos from the top three below. Amazing crowds in Edmonton, enjoy Alex’s winning ride again. Also on the 19th, something a lil’ different. As flatlanders we are all too familiar with tiny cuts, but as this story from Brian Tunney proves, you need to look after them and get proper treatment. 22nd September and a banger from Charles Paty! Beautiful new edit out of one of the most stylish riders on the planet, Autum’s Charles Paty! At 8:41 it really is worth grabbing a cuppa and watching Charles do his thing, the search for spots, riding in water, and the edit had me gripped to this for the whole duration. Very much striking a similar vibe to the Heresy crew. From the 3:00 mark it’s intense! – The body english on the backwards spinning pedal mega spin at 2:28 is something else! – Double stem boomerang with the back wheel off the floor at 3:35! – Hang five jump pedal nose g turn at 4:20 and the following clip with whiplash into that line and held longer too. I could go on, hit play and let me know what you liked in this edit. Hitting the rewind right now. Also on the 23rd, Another Must Watch, this time from Mateus Beckmann. From the opening half cab whopper to pedalling wheelie manual 180 half cab whopper line you know this is going to be a serious edit! I’m sure a say a very similar thing every time I write about Mateus Beckmann’s riding, but this guy is at the top of sport in terms of the flat/street crossover, for example check the opposite tooth hanger at 1:17, followed by half cab truck at 1:26 not to mention the downwhip on flat to opposite smith on ledge at 1:30. From the 2:34 the flatland side of things starts to get heavy, love the hitchhiker two footed steam hop to backwards karl fork wheelie hop to forwards hitch, simple idea, but so hard to do! 3:30 – 180 backwards manual decade out. Hitting the rewind on this move, half cab straight backwards whopper to backwards peg manual foot jam decade out at 5:19 followed by the xft half cab half whopper 180 to xft inside steam line is amazing! I’m in the middle of UK Champs mode, but this is worth sitting down and taking this one in! Will certainly be interesting to see where this talented kid from Brazil takes his riding in the future! It’s been another good week for edits, phew! Two days later, There is definitely something in water lately with regard to Must watch edits and clips, and today the world woke up to an absolute treat from Brandon Derbowka! You absolutely have to watch this amazing no handed whiplash to no handed hitchhiker no handed whiplash, Brandon did it again! Flatland magic right here! That weekend saw abusy period with contests going down globally. 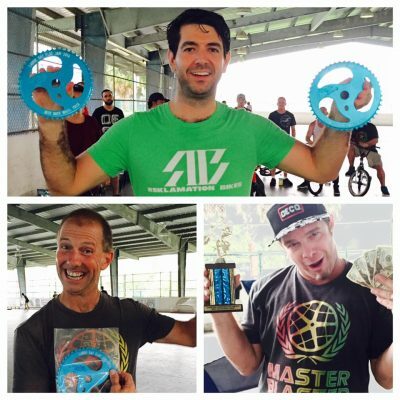 Congratulations to James McGraw who yesterday took the win at the San Antonio round of the Texas Round Up series followed on the podium by Dax Wolford and Will Redd. So awesome to see a state be able to put on a series, hopefully some video from this event soon! 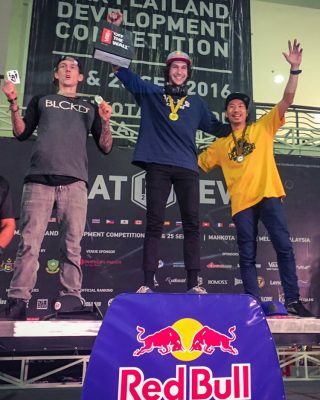 Round 5 of the 2016 World Circuit took place that weekend at FlatDev over in Maleka, Malaysia. Congratulations to Matthias Dandois, who took the top spot followed by Jean William Prevost and Moto Sasaki. 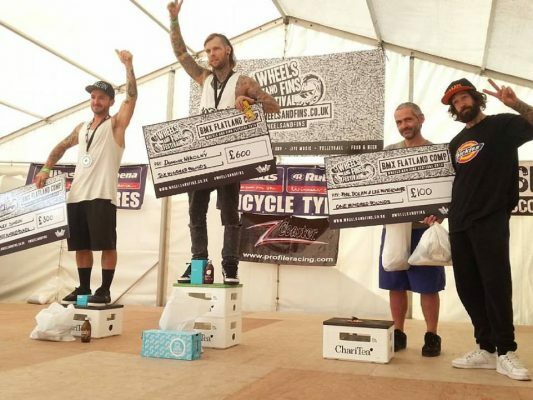 This might well be the busiest weekend on the 2016 flatland contest calendar, congratulations to Thomas Noyer who took the win at Jean Bulhon’s Clermont Ferrand contest over in France followed by Jean himself, and Rodolphe Clavelier. 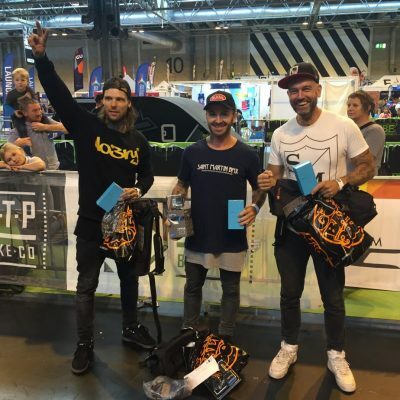 Congratulations to Alex Jumelin who took the well deserved win yesterday at the UK Flatland Championships at the Birmingham NEC, followed by James White and Dominik Nekolny. Great turnout for a UK event, big respect to Matti Hemmings for putting this on, great weekend for the uk scene. The contest news keeps going! 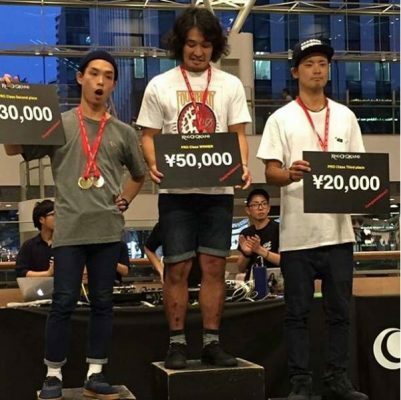 Congratulations to Shinichi “Russia” Kiba taking the top spot at King of Ground Round 2 in Yokohama, Japan followed by Hisao Yoshida and Ito Keidai. Autumn is here and it is the season for Must Watch edits! On the 29th, we got a real treat from Sebastian Grubinger filmed by Sevisual at the Messe riding spot in Vienna. Over the past year or so, Sebastian has been focussing a lot on back wheel riding, and the backwards two footed walkaround backyard variations variations in his latest edit are absolutely ridiculous. From the opening line at 00:45 this edit hits hard, hit play and enjoy this amazing level of modern day flatland riding!